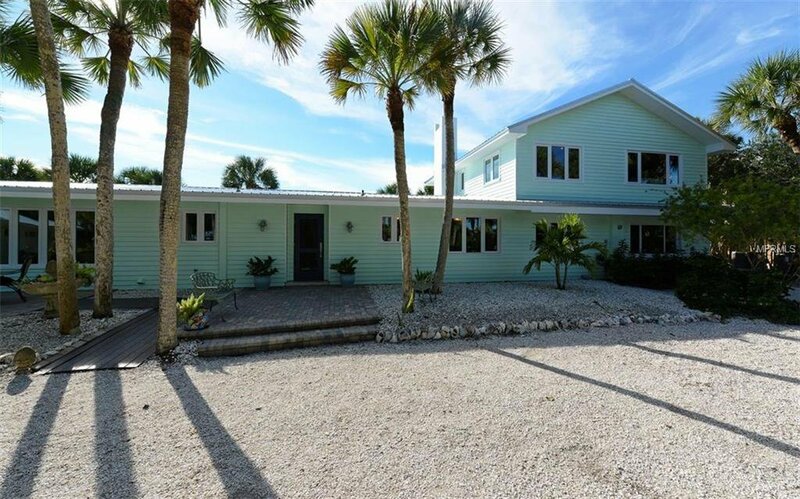 TREMENDOUS GULF TO BAY RESIDENCE WITH 150 FT. OF PRIVATE BEACH, POOL GULF SIDE, 170 FT. ON PRIVATE BAY WITH DOCK,SANDY BEACH AND FACING ICW! EXTRAORDINARY! PHASE ONE WHICH INCLUDES ALL THE EXPENSIVE RENOVATION COST ALREADY COVERED! GAZEBO POOLSIDE! BONUS ROOMS! REMODELED KITCHEN! EVERYTHING PHASE ONE BROUGHT TO CURRENT CODES, NEW METAL ROOF, FLOORING, WINDOWS, INTERIOR/EXTERIOR PAINTING, BATHS, CENTRAL VACUUM, CAST IRON FIREPLACE, HAVAC SYSTEMS 2017-2018, STAINLESS STEEL HARDWARE! MAKE THE MASTER ENSUITE YOUR DREAM WITH VIEWS OF GULF AND BAY! THREE CAR DETACHED GARAGE. PARTIALLY FENCED, NATURAL LANDSCAPING, SHELL CIRCULAR DRIVE KEEPING IT " ISLANDY. " A TROPICAL PARADISE CLOSE TO ALL SHOPPING, AIRPORTS, RESTAURANTS AND THE CULTURE OF SARASOTA! SELLER SAYS BRING AN OFFER & WILL CONSIDER CREDITS TOWARDS RENOVATION OF MASTER ENSUITE! THIS COULD BE YOUR OASIS! Listing courtesy of DEBORAH FUNARI HEALY. Selling Office: DEBORAH FUNARI HEALY.